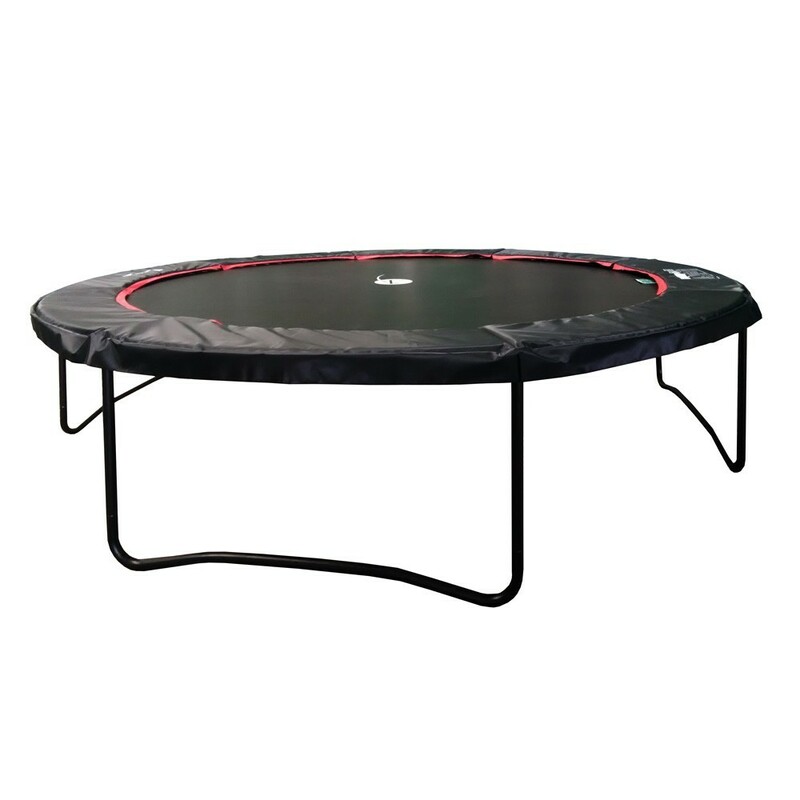 Round 12ft Booster trampoline, sold separately without the enclosure. If your enclosure is in good shape but you need to change your damaged trampoline, this 12ft Black Booster 360, sold without the enclosure will allow you to do so at a low cost. This is considered as a spare part and must not be used without an enclosure. 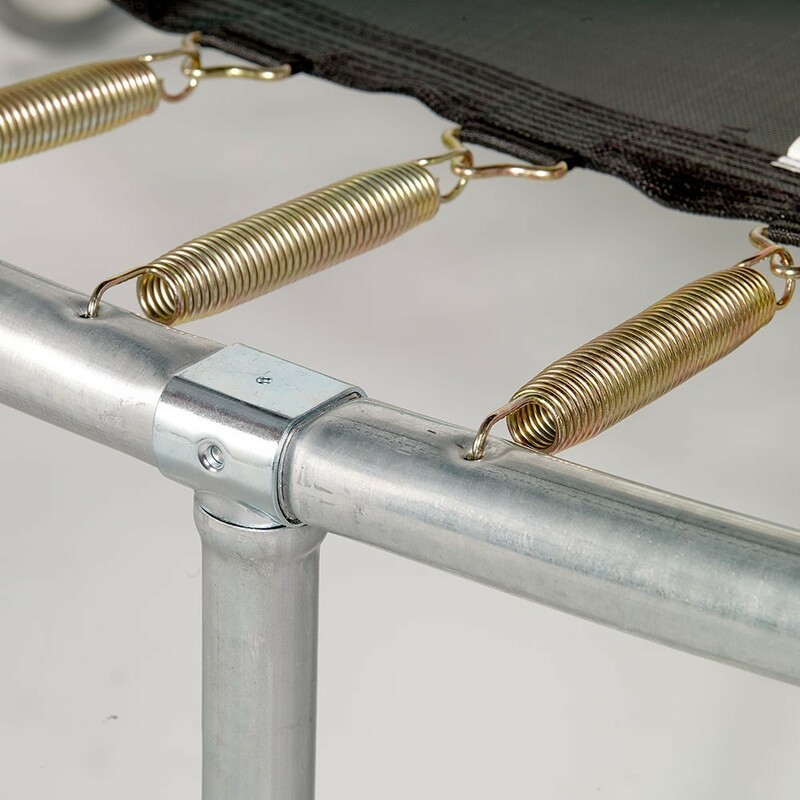 - Before buying this trampoline, please check the compatibility with your existing enclosure, which must have 8 net posts adapted to a 12ft trampoline. 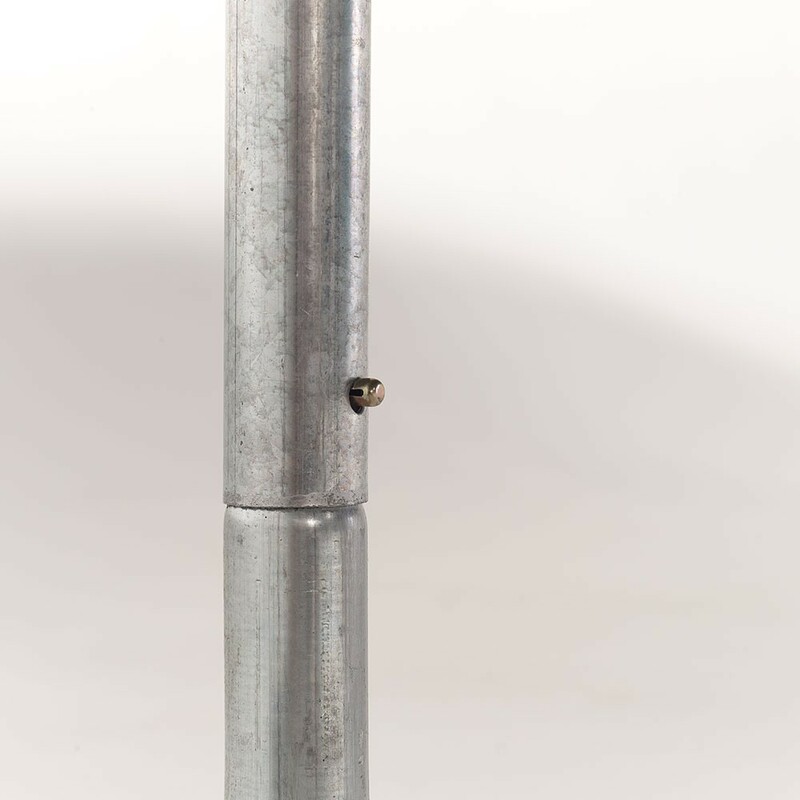 To avoid premature corrosion, the net posts do not have pre-drilled holes. 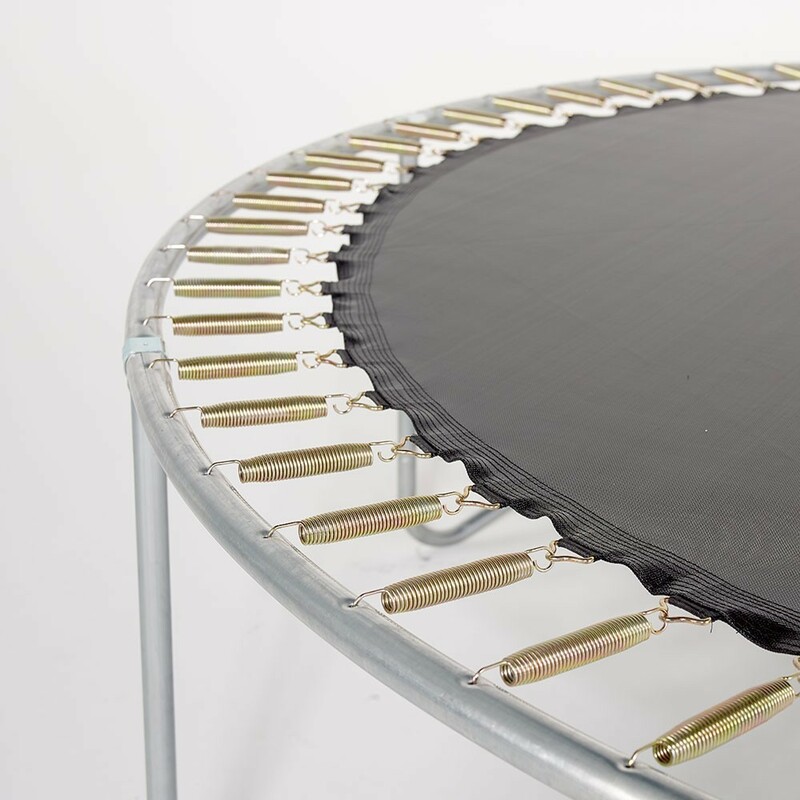 - This trampoline is equipped with 80 springs measuring 230 mm, for dynamic bouncing. - The structure is made with 42 mm wide and 2 mm thick galvanized steel tubes, for maximum resistance to corrosion. This trampoline can be left outside all your round. The structure is painted black, for an elegant and sporty look. 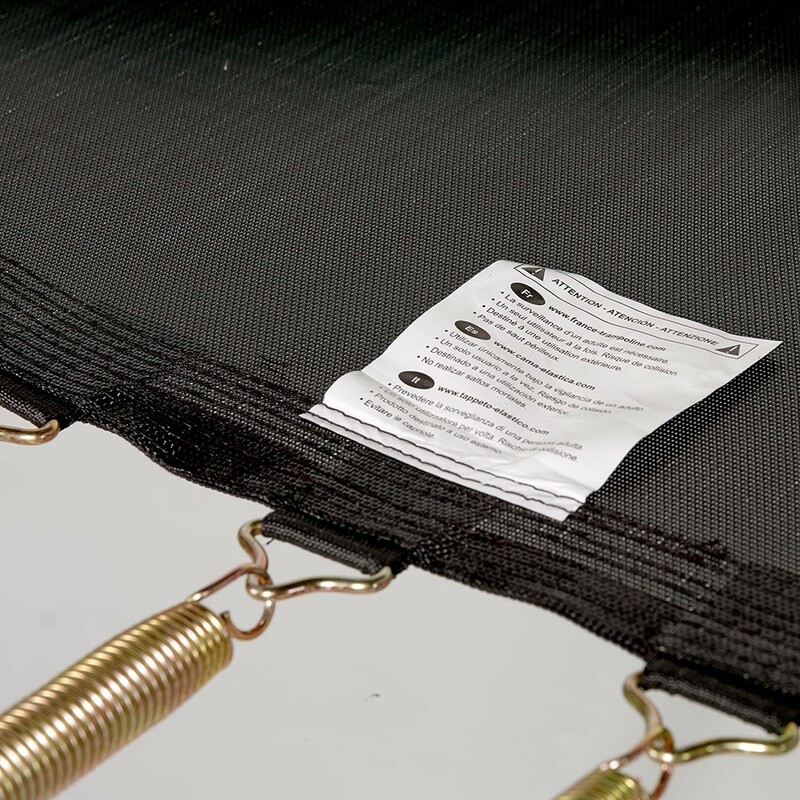 - The jumping mat is made from UV-light protected polypropylene mesh. 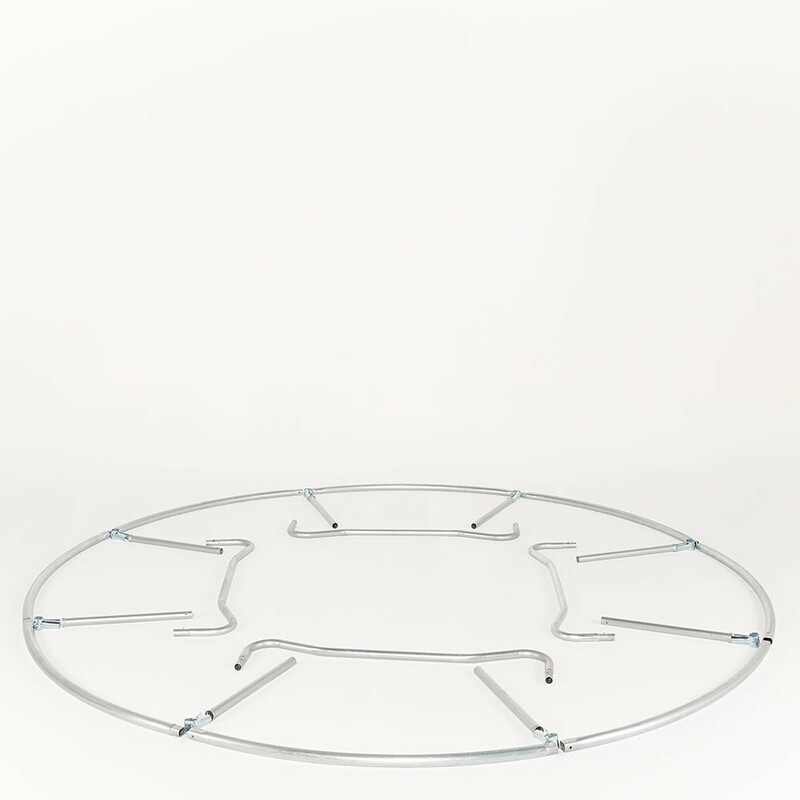 This very resistant material is strengthened around the ring area with 8 rows of stitching and a reinforcement band. - A black and red frame pad covers the entire spring area. It is made with 31 mm thick mono-block foam and covered with waterproof PVC.